Our exceptional staff are here to meet your specific fitness needs, with experience in a diverse range of training styles including personalized circuit training, Pilates, group classes, and boxing. “Nurturing” is not among the most common descriptors a personal trainer might choose to hang their hat on, but that is precisely who John is. Knowing that the gestation of all great things begins with the careful management of their beginning stages, John leads with his heart, wielding an unflinching optimism and purposeful encouragement that work in tandem to mold a solid foundation for his clients to build on for the rest of their lives. John knows that the simplest key to fitness and its most complex obstacle are one in the same: how does someone put one foot in front of the other, every single day, to inch ever closer to their optimal health, happiness, and life potential? These steps do not begin and end with high intensity exercise, but let’s just say that John is acutely aware that the sneaker prints you leave in the gym should never be more than a few days old. How do we become masters of our own behaviors such that working out is not a chore but something to look forward to? How do we navigate the overwhelming amount of health and fitness information that descends upon us from all corners of the internet and word of mouth? As a certified and passionate fitness professional, John is committed to bringing clarity to these important questions by empowering his clients with a sense of purpose, clear and achievable goals, and a steady stream of knowledge. These instillments act as a collective helm with which clients feel emboldened to steer toward the best version of themselves. So string up those laces and get ready to shout, “Land, ho!”. John cannot wait to embark on this important journey with you! Octavio Galindo studied Cuban-based classical ballet at the National Institute of Fine Arts in Mexico City, from 1981-1987. Locally, he appeared with the Long Beach Ballet and Pasadena Dance Theater. 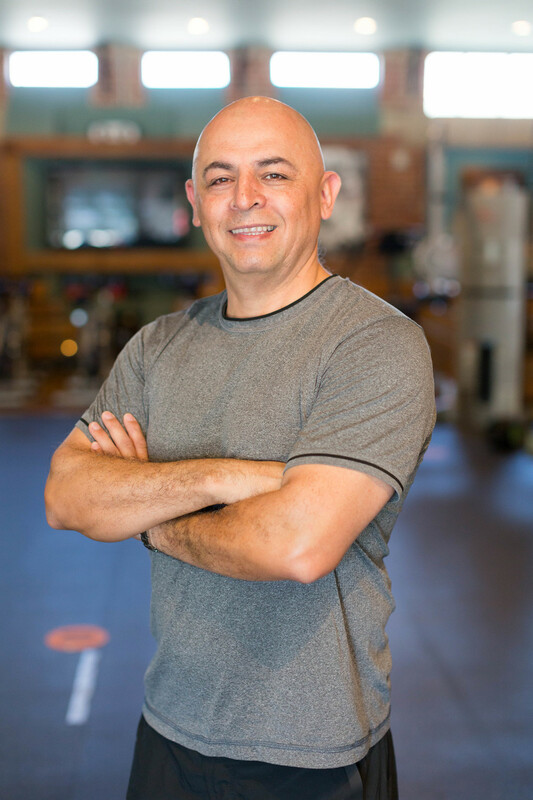 He received Pilates Teaching Certifications through both Body Arts and Sciences International and Long Beach Dance Conditioning, and has been an instructor of body conditioning, dance, and movement for more than twenty years. He is the founder of "Concentric Kids," and the inventor of several original body conditioning apparatuses including the patented Orbit board, now being distributed by Balanced Body. Native to Los Angeles, Coach Joseph C. Del Real holds a B.A. from UCLA in Linguistics and has over 23 years experience in martial arts and fitness. He is Certified from the World Muay Thai Council, a Black Belt from the World Tae Kwon Do Federation, and is a licensed Professional Corner man for the states of California and Nevada for Boxing, Kickboxing, and MMA.